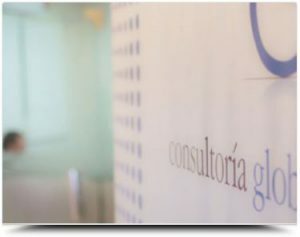 Is an IT Company composed of experienced professionals, with wide experience in Critic Mision Systems. Our professionals form Intelligent Teams adopting and adapting the best practices in the computer market to the intelligent management of business. Our working strategy is characterized by being flexible and dynamic, capable of aligning with our client’s goals. Our outsourcing service of IT management, brings up solutions according to their technological needs with a high degree of added value. Consultoría Global contributes to the development of the general well-being by empowering individuals and companies, through an intelligent management of knowlegde in order to generate value. Our mision is to provide solutions for the technological challenges of the National and International companies within the computer technology scope, by providing Professionals or Intelligent Teams and the Development of Services tailored to customer’s needs.